The Karen, who originated from the region of Mongolia many centuries ago, are a large ethnic group or nationality within the country of Burma. Called Myanmar by the present ruling Junta, Burma in its pre- Second World War period was a wealthy country in Asian terms, "the rice-bowl of Asia". Now it's one of the world's poorest countries. Poverty has come about in recent decades mainly by the oppression of the population at large and by a policy of "Burmanisation" targeting the ethnic peoples. In the case of the Karen people, there has been a history in the recent period of armed resistance to the destruction of villages, land and infrastructure that has resulted in disease and hunger. Oppressive activity has taken place through most of Karen State, situated in East Burma. The Burmese regional military tactics have included maiming and killing many people. As a result of having to flee from danger the refugee camps just inside Thailand along the border with Burma were established in the mid 1980's. Numbers in these camps have ranged from 120,000 to 15,000, mainly of Karen but also of Karenni and Mon peoples. The Thai Burma Border Consortium was formed to provide basic necessities such as rice and fish-paste. 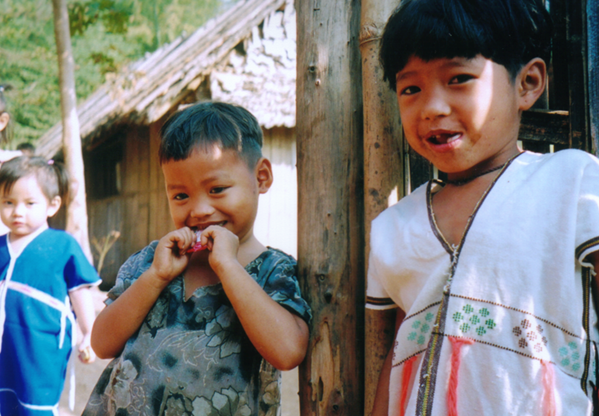 From the late 90's some Karen families have settled in Western countries. Australian intake dramatically increased in 2006. In 2014 there were approximately 3000 Karen people living in Australia along with 'Burmese nationals' and other ethnic minorities. Now the Karen people seek democracy for their country of Burma in a federated system of government. The Karen leadership works closely with other ethnic nationalities and the N.L.D., Aung Sun Suu Kyi's party.